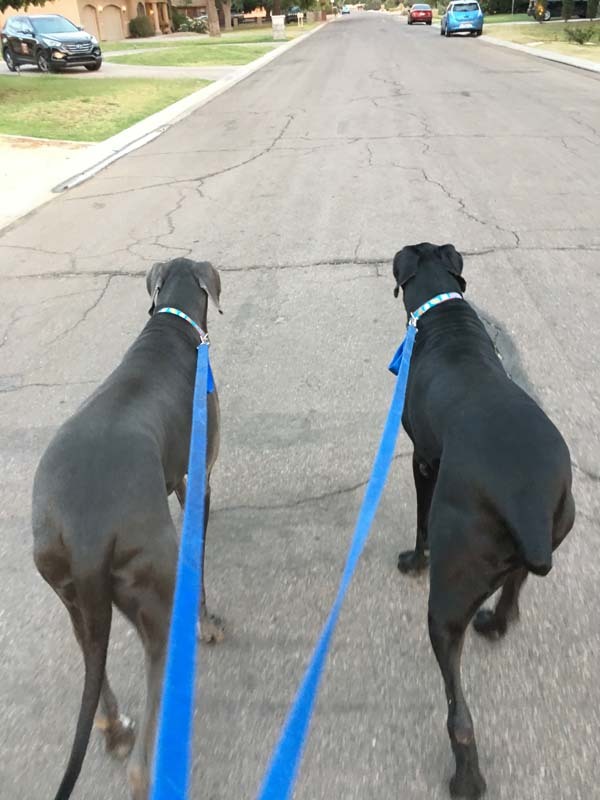 Dog Walking – How important is it? Dogs are creatures on the move. They are hunters, they are chasers, they are mission-accomplishers! They are not couch potatoes. Sure, they can learn to be couch potatoes, but it is not in their nature. Before dogs were domesticated, they had the free world to roam in. They had no constraints, no homes, no leashes even. Dogs even get bored of their back yards…believe it or not! To them the backyard is just an extension of their house. This might help explain why letting them out in the backyard doesn’t satisfy their need to “get out” most of the time. To a dog it’s a necessity to explore and find new things. Each walk brings them new smells, new sights, new experiences. This is what makes their world go ‘round. What do you do if you can’t take your dog on regular walks? Dog walking takes all forms. There is a walker to fit your situation. Working long hours and can’t get home to let your dog out? – Hire a dog walker to stop by and take your dog out. Are you injured and can’t get out to walk your dog? – Hire a dog walker to step in and help. Going on vacation? – Hire a dog walker to come walk your dog if your housesitter won’t. Maybe you work normal hours, but your dog just can’t stand to be alone all day. – Hire a dog walker to come by and entertain and/or walk your dog. Dog walkers can bring all sorts of relief to the stress of being a dog parent. Let him come meet you and your dog to see if you are a good fit! You won’t be disappointed…check out what other pups and their families have to say! Sign up here to get notified when we post our next cool tidbit!